Within Teamwork Projects, you can use categories to organize your projects into different groups. 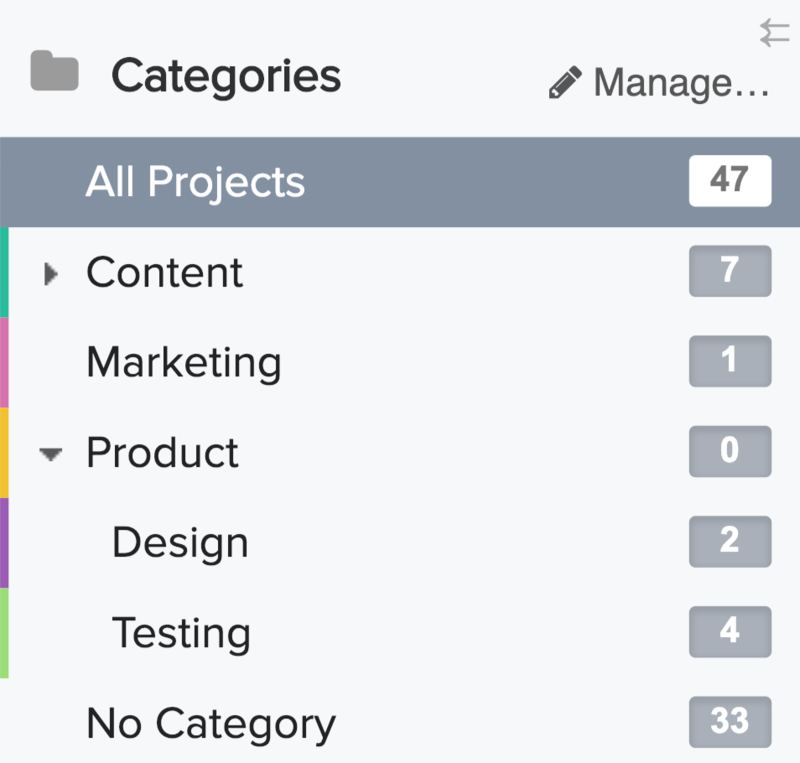 If you hover over an existing category name, or the Categories header, you will see an option to manage the categories. Click this to edit existing categories, or to create new ones. 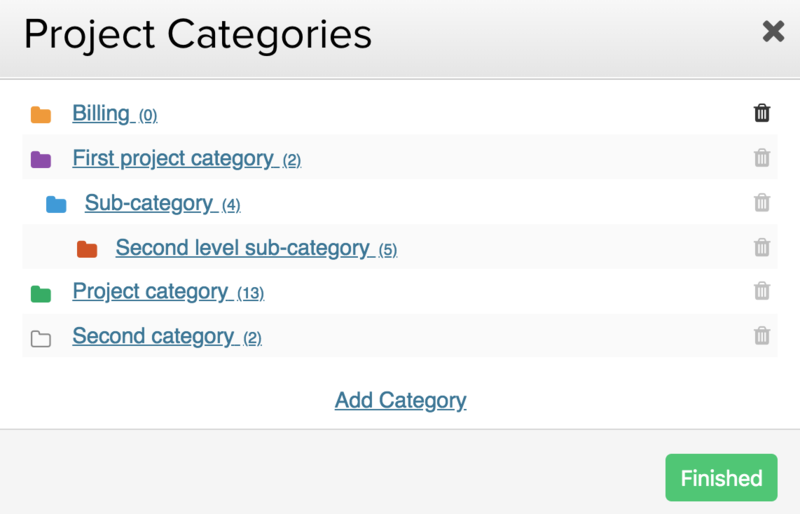 To add a new project category, click the Add Category option in the mange categories modal. 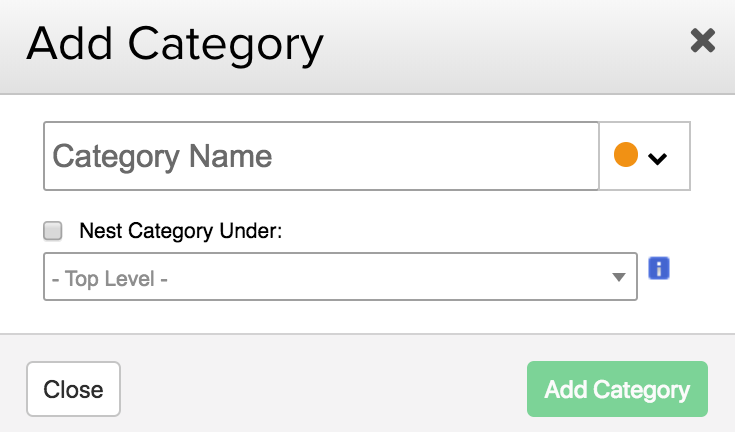 You can have the category at top-level, or check the Nest Category Under option to specify a parent category to add it to. Within the Projects area of your site, you can add a project to a category simply by dragging and dropping the project over the category name in the panel on the left.